As I mentioned in The Robin Chronicles, we had the special privilege of watching two baby Robins hatch, grow, and then leave their nest this spring. It was such a thrill to see them so up-close, and we celebrated when they reached the next step in their little birdie lives and moved on and out of their nest with the sky as their limit. Secretly, though, I was sad to see them go, as I wasn't sure if they'd hang around their nesting grounds or move on to new territory. 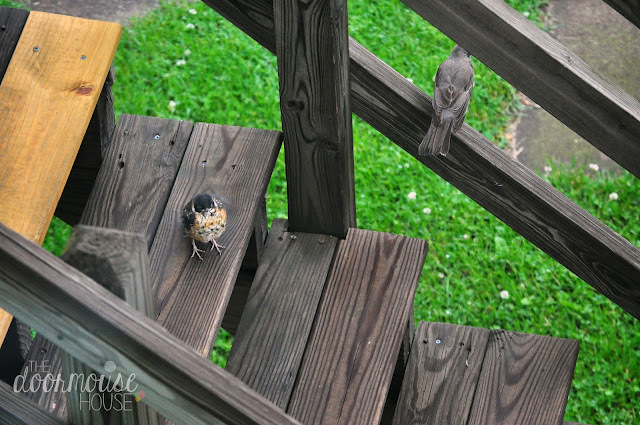 BUT, much to my surprise a few mornings ago, Momma Bird and one of the baby birds were hanging out on our front steps! 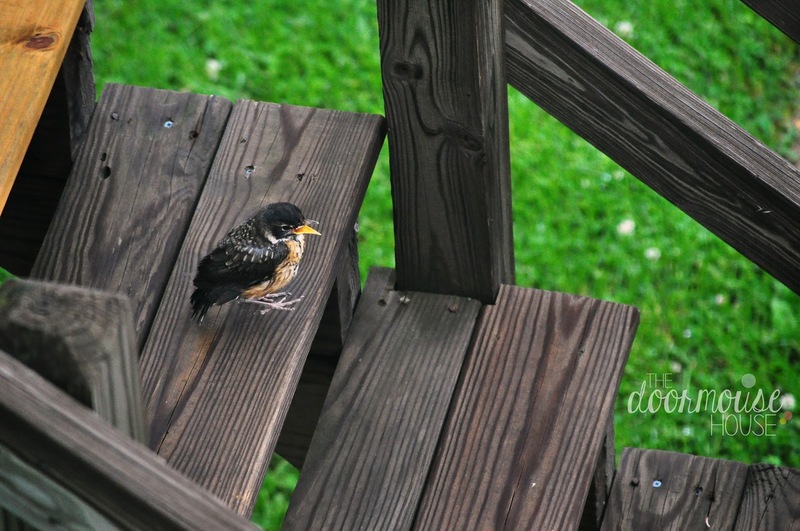 Momma flew off to hunt for some morning grub while Baby Bird (not-so) patiently waited on the steps, hopping around (and pooping...thaaaanks, nature) from step to step. We even got to see her serving up the yummy morning fare. 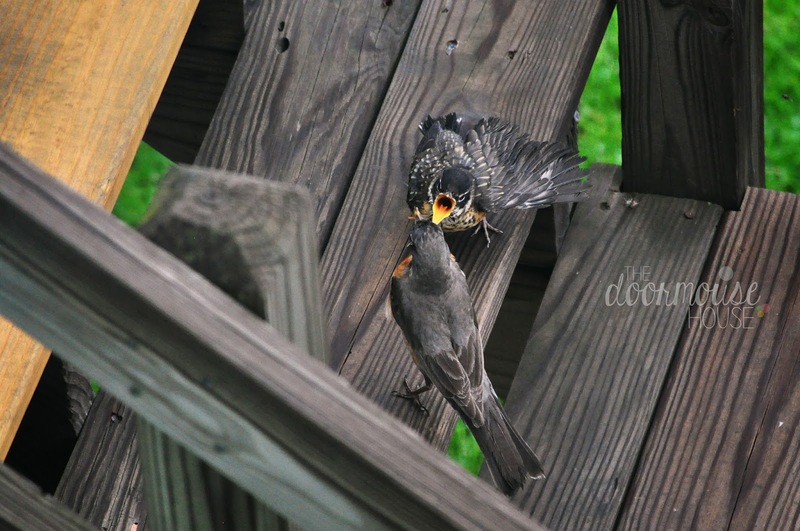 1) Both birds survived the fledgling stage, but we only see them one at a time. 2) One of the birds suffered the cruel fate of nature (probably at the hands of one of the neighborhood cats), and we are only seeing the one remaining bird. I'd like to think we're dealing with situation #1, and that baby bird #2 is palling around with Daddy Bird. I know that's probably not true, but let me dream, okay?